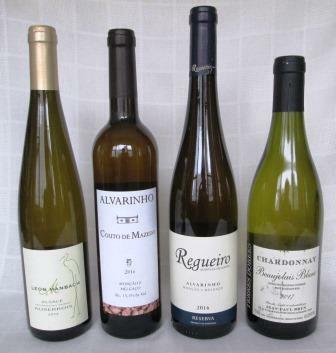 Once upon a time, the Bordeaux region produced more white wine than red. Unless you are well over 50 or of a scholarly bent, I suspect that statement comes as a surprise. Nevertheless, it’s true: It wasn’t until the 1970s that red wine production surpassed white in Bordeaux, and it hasn’t looked back since. 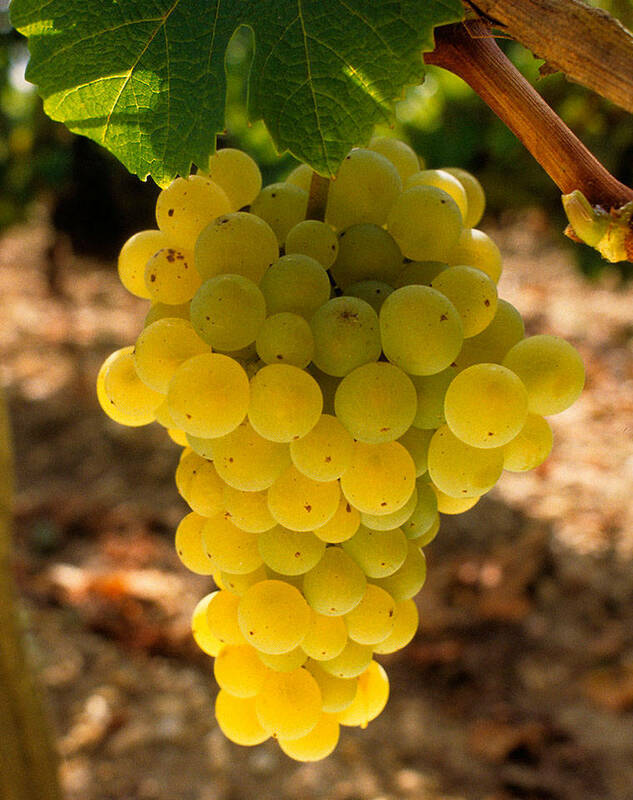 Now white varieties account for less than 10% of the total Bordeaux vineyards – though that still amounts to over 42 million bottles of white wine a year. Numbers like that seriously challenge our notions of winemaking as an artisanal activity, but wine has long been big business in Bordeaux. 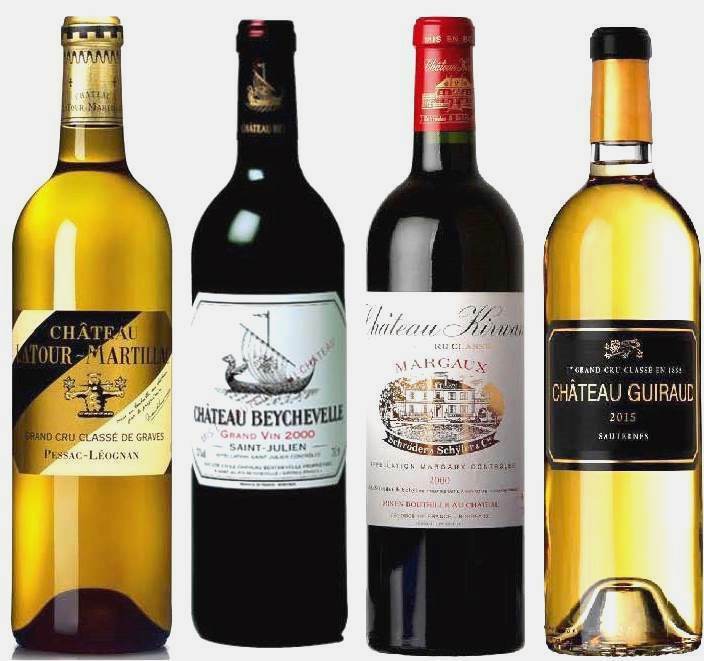 Back in the heyday of white Bordeaux, dry wines like the white Haut Brion and sweet wines like Château Yquem were the style- and price-leaders of the region. Good Sauternes have held onto a diminished market share and an undiminished reputation, and no one questions the greatness of Haut Brion blanc, but most producers of dry white Bordeaux have to scrabble hard for shelf space these days. Image from The New Sotheby’s Wine Encyclopedia. Click to enlarge. To cast some light on this neglected sector of the wine universe, the Wine Media Guild devoted its March meeting to exploring a broad spectrum of whites from throughout the entire Bordeaux zone: That is, from both sides of the river Gironde and its tributaries, the Garonne and the Dordogne, as well as from the northern tip of the Medoc peninsula to about 50 miles south of the city of Bordeaux. This covered a lot of ground and many different wines, all of which were thoroughly explained by the WMG member-organizer of the event, Mary Gorman-McAdams, MW. The appellations involved included the largest, Bordeaux Blanc, representing roughly 60% of the production, and from anywhere in the zone, and the next largest, Entre-Deux-Mers. The latter is an exclusively white-wine-producing zone lying between the Garonne and Dordogne: It accounts for about 20% of the production. Also included were representatives of much smaller appellations, including several Côtes, for example, Côtes de Blaye and Côtes de Bourg: All the Côtes together account for about 3% of the white wine production. The most prestigious zones remain Graves (5%) and Pessac-Leognan (3%). The latter used to be comprehended within the Graves, and its wines have always been among the very best of all the appellations. The Wine Media Guild tasting ran to 30 wines, none older than the 2013 vintage and the majority from 2016. 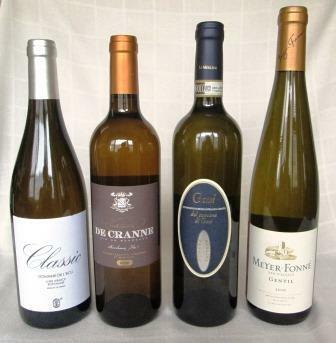 The complete tasting sheets, showing each wine, its vintage, its grape mix, importer, and suggested retail price, is appended to the end of this post. 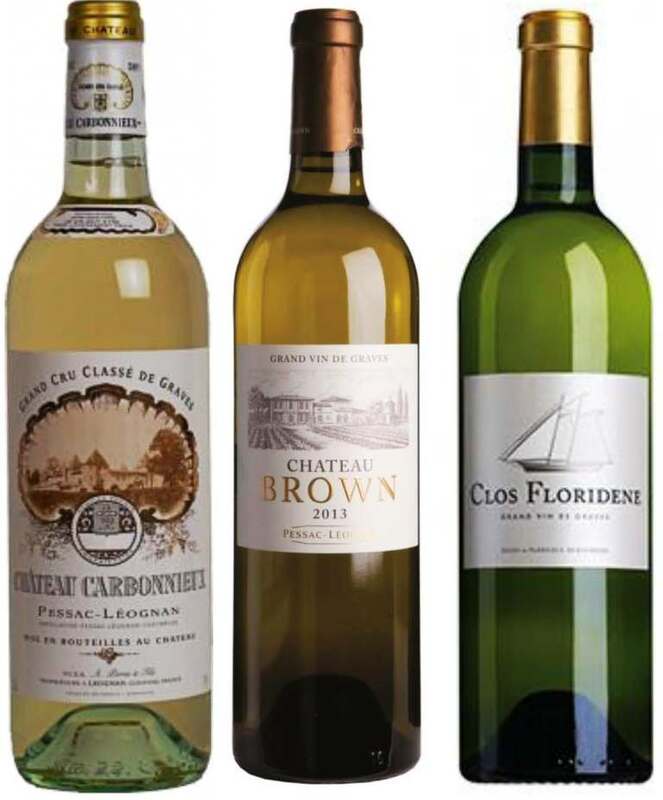 A quick look at it will show that the predominant grape varieties in Bordeaux blanc are Sauvignon blanc – the heavy favorite, with even a few 100% Sauvignon blanc wines – and Semillon, with a small amount of Muscadelle and/or Sauvignon gris occasionally used. 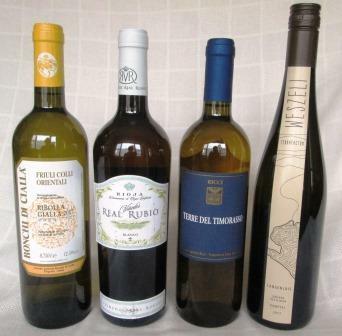 Most suggested retail prices are very reasonable, which is appropriate, because the great majority of these wines are pleasing companions to everyday meals. 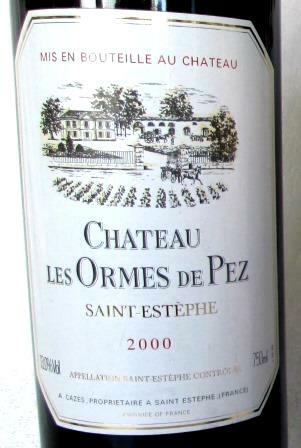 That is emphatically not damning with faint praise: The world needs more well-made, simple wines like many of these, at prices that ordinary human beings can afford; and the recent up-tick in American consumption of white Bordeaux may very well reflect a growing perception of their value-for-dollar ratio. I am not a super-fan of Sauvignon blanc, not even in its Old-World manifestations, which tend to be more subdued (less cat’s pee) and more elegant than the New World versions. But I do think that blending Sauvignon with Semillon makes a wine that is better than the sum of its parts, so most of the wines at this tasting easily passed muster, and a few really spoke to me. Enthusiasts for Sauvignon will probably rate all these wines even higher. Château Carbonnieux has long been a favorite of mine, and the 2015 vintage in this tasting did not disappoint. It had a combination of depth and elegance and balance that seemed to indicate it would be gorgeous in two or three more years. Right up there with it was Château Brown, an unmemorably named wine that, as a colleague remarked, usually flies under the radar. This 2014 vintage was just lovely and kept opening in the glass, showing more and more fruit and structure. I’d give the bronze for this tasting to the 2015 Clos Floridene, a balanced and gentle wine of real charm. These three – and a few others – are more than just everyday-dinner wines – though, come to think of it, they would do just fine with a good chicken, or a turkey thigh. 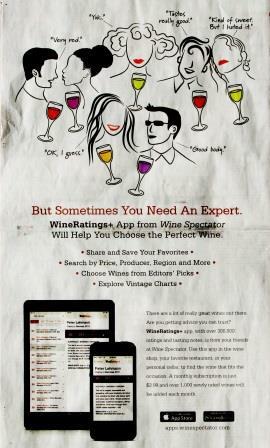 You can see the complete Wine Media Guild list here. Over the holidays, what with Christmas and New Year dinners, both Days and Eves, plus interstitial (I love the chance to use that word) gatherings with family and old friends, we tend to pour a fair amount of mature wine at casa Maresca. This year’s sacrificial lambs included a 10-year-old Barolo, a 15-year-old Barbaresco, and (sob!) 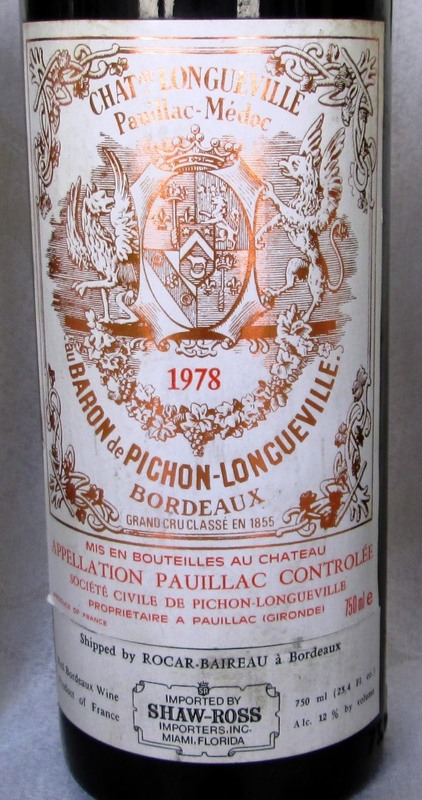 a 50-year-old Bordeaux. These wines of course gave me great pleasure in the moment but also intense pangs afterward, as I realized that none of those wonderful bottles was replaceable, much less replicable. But that’s what family, friends, and holidays – and wines! – are for: celebration of all those fleeting moments. 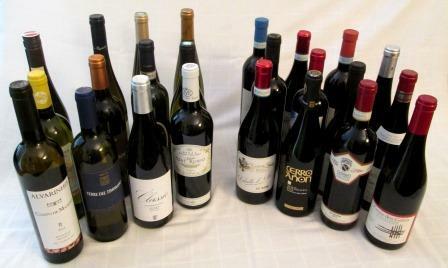 Of course I just exaggerated a bit: Some of the wines I’m celebrating today are replaceable, at least if you move fast. Let me start with the infant of the group: a 2006 Barolo Riserva Vignarionda from Oddero. I regard a 10-year-old as a young Barolo, so I decanted this and let it breathe for about 2 hours before pouring. At that point, it showed a rich, deep, earthy nose dominated by black fruits and tobacco. On the palate it tasted of those two components, with some still-emerging nutty and mineral flavors sliding in and out. If I had to be precise, I’d say black plums and black cherry, with clay notes, funghi porcini, and walnuts. It felt round and soft in the mouth with an abundance of fine but still firm tannins, and it finished very long. 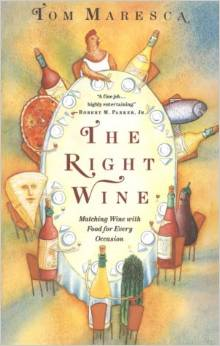 With food, and especially with cheese, the tannins softened and the flavors deepened. This is an excellent Barolo, ready to drink but still far from its mature peak – and the best news is that it’s a new release. Oddero has adopted a policy of, in very good vintages, holding back some wines for release later, when they are more ready to drink and show more of what Barolo is all about. I think this is an excellent way for wine lovers new to Barolo to get a good sense of why dotty old winos like me make such a fuss about Barolo. This particular example is from a very good year and an excellent cru, so it has the structure and the components to go another 20 years, if you have the patience to wait for it. If not, just enjoy it now. I hope this strategy of releasing some wine when it’s more mature catches on in Piedmont: I know that Massolino, a very fine winery, tried it a few years ago, and I hope it continues the practice. In these days when not every wine lover has the space or the budget for a well-stocked cellar, it’s a real service to the consumer. Tasting that ’06 made me very curious about how the 2001s are progressing. 2001 remains my favorite Piedmont vintage of this new century, and I thought it was time I should look in and see how the kids were doing. 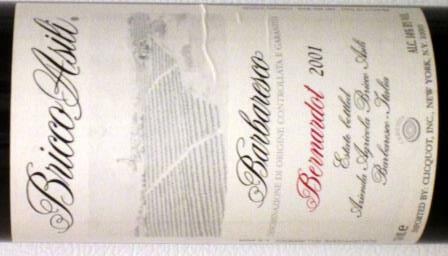 So I dug out a 2001 Barbaresco Bernadot from Ceretto, a long-time favorite producer of the whole range of Alba wines. This is a wine from a fine cru in a very great year, which I fully expected to have a substantial structure and great depth, and at 15 years old might yet be very closed, so I decanted it and gave it 2 hours of aeration. As it turned out, it probably could have taken more. 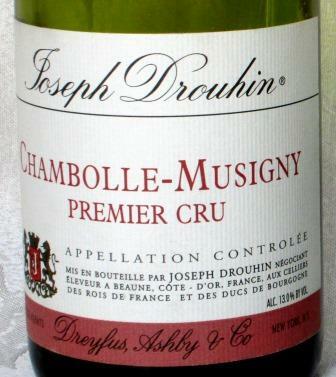 This was a taut wine, showing elegance over power, with great depth and complexity, and a pure pleasure in the mouth. The predominant flavors were black cherry and roasted walnut, but what struck me most was its beautiful balance, composure, and suavity – there really is no other word. And enjoyable as it was, it’s probably 15 years yet from its peak. So the kids are doing OK: I only hope I can live – and taste – long enough to enjoy them. 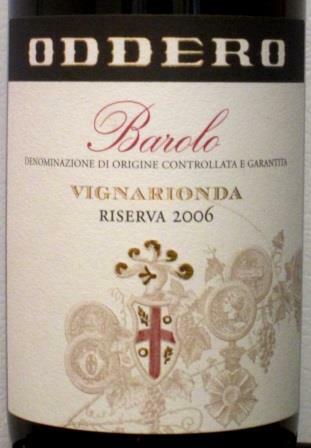 There may well be some 2001 Barolos and Barbarescos still available in shops here: If you see some, you should probably grab them. 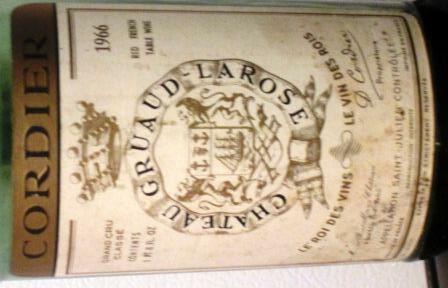 This brings me to the truly mature wine of this group, a wine in every sense worth waiting for, a 1966 Chateau Gruaud Larose. Most wine lovers know that Gruaud Larose is a classic Bordeaux estate, categorized as a second growth in the famous 1855 ranking. 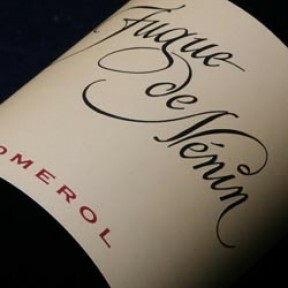 It consists of some 85 hectares in the commune of St. Julien, planted predominantly to Cabernet sauvignon and Merlot, with small amounts of Cabernet franc, Petit verdot, and Malbec – a very traditional Bordeaux blend. 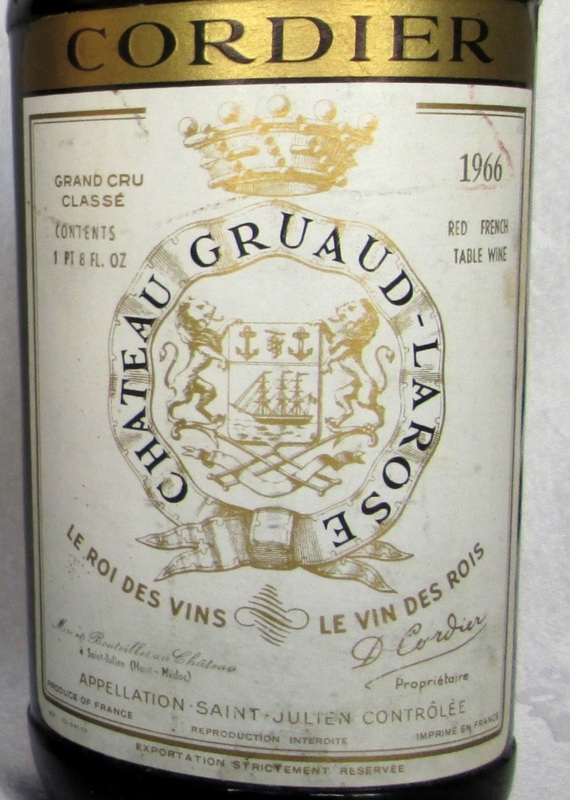 Back in 1966 – which, by the way, was a very great vintage in Bordeaux – Gruaud Larose was owned by the Cordier family, who had by that time been its proprietors for more than half a century. 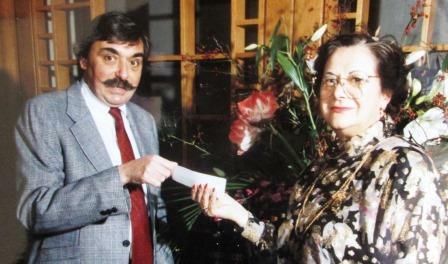 Gruaud Larose has personal meaning for Diane and me, since it is closely linked to a very long-standing friendship that we were able this December to commemorate with one old friend and several new ones. So I won’t even try to describe the wine, save to say that it was amazingly live and fresh and classically St. Julien – that is to say, mid-weight and polished, with wonderful balance and restraint. The best St. Juliens always charm and seduce rather than overpower, and this 50-year-old did just that. I only wish I had some more of it! But as I said at the start, occasions like this are exactly what wines like this are for. Just a few weeks ago, I attended a small tasting of second-label Bordeaux wines organized by the importer/retailer Millesima. 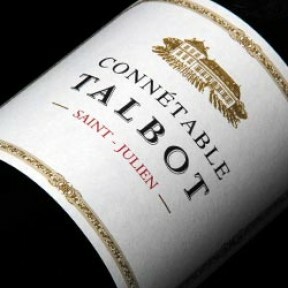 They were the red Connétable de Talbot 2008, La Demoiselle de Sociando Mallet 2008, Confidences de Prieuré-Lichine 2008, La Fugue de Nénin 2002, and the white L’Esprit de Chevalier Blanc 2011. It was a very pleasant affair, low key, no pressure, just a chance to taste and evaluate a handful of wines – a very welcome haven on a drizzly, chilly New York afternoon. 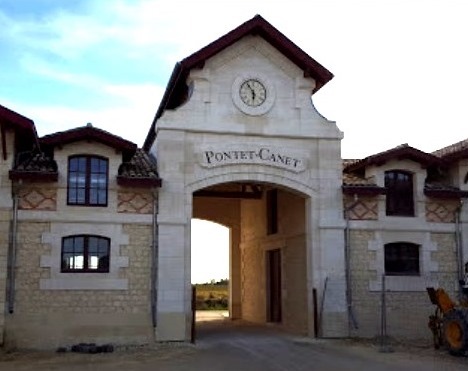 The L’Esprit de Chevalier Blanc and the Talbot Connétable especially stood out, while La Fugue de Nénin seemed tired: 2002 was not a very great vintage, and 13 years is pushing the envelope for second-label wines, especially a Pomerol. But all in all, the wines were what I’ve come to expect sound second-label wines to be: good without being overwhelming, true to type without being definitive of the type. In short, pleasant wines pegged at a price point to give a nice lift of palatal pleasure and sophistication to otherwise everyday dinners. But the occasion also started me thinking: When did second labels start becoming important? 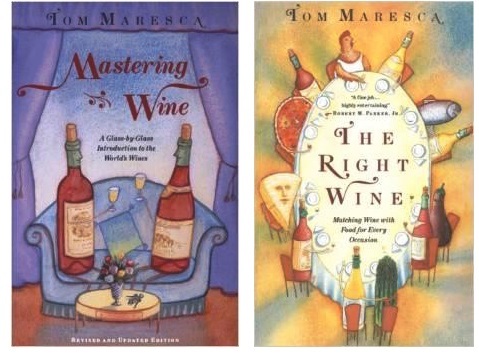 When I first got hooked on wine and began seriously exploring it, I learned on French wines. In those now long past days, wine was French, and the way into it was primarily through Bordeaux and Burgundy. I can’t recall any ready availability of second labels from Bordeaux back then – and there still aren’t any from Burgundy: So where did they come from? 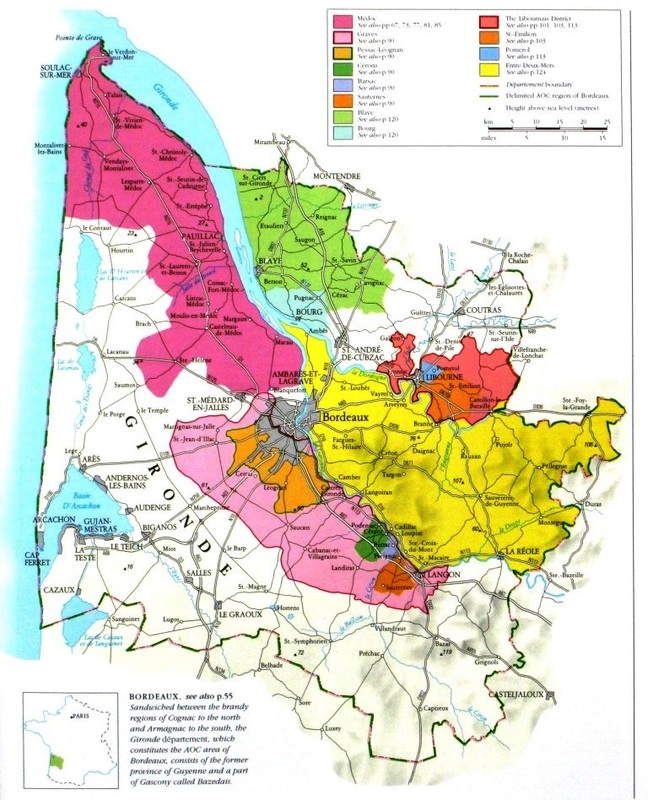 Wine estates in Bordeaux – by which I mean that cluster of Médoc communes that contain the wines ranked in the famous 1855 listing and their satellites – have long occupied an enviable position in the wine world, whether you focus on the palatal/esthetic/craftsmanly aspect of that world or its commercial aspect. The prestige of Bordeaux may now be fading somewhat, as younger drinkers seem less and less impressed by it and more and more willing to try wines “outside the canon,” but commercially there’s no question that Bordeaux still sets the pace. 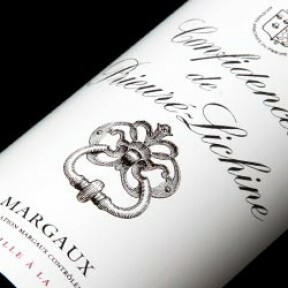 Traditionally, very few of even the most prestigious Bordeaux estates had second wines. 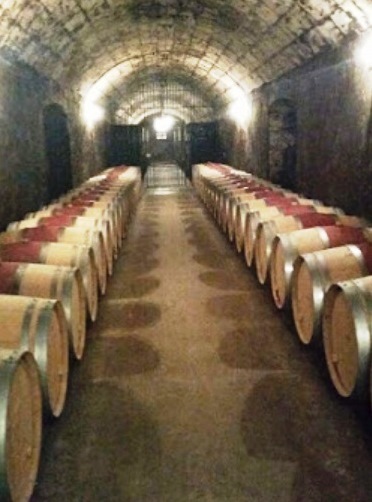 Because their emphasis was on quality, and because many Bordeaux estates are very large (Château Margaux, for instance, has 80 hectares – that’s almost 200 acres – of vines), they often had grapes that were not judged of high enough quality to be part of the wine that would bear the château’s name. In most cases, back then, those grapes were sold off, usually to négociants who blended the grapes of several estates to make either village wines – a shipper’s Margaux or St. Julien – or, a step down the scale, a Médoc rouge, or lower still, a Bordeaux rouge. As wine boomed in the last quarter of the 20th century, winemakers realized that they didn’t have to sell those rejected grapes on the bulk market. 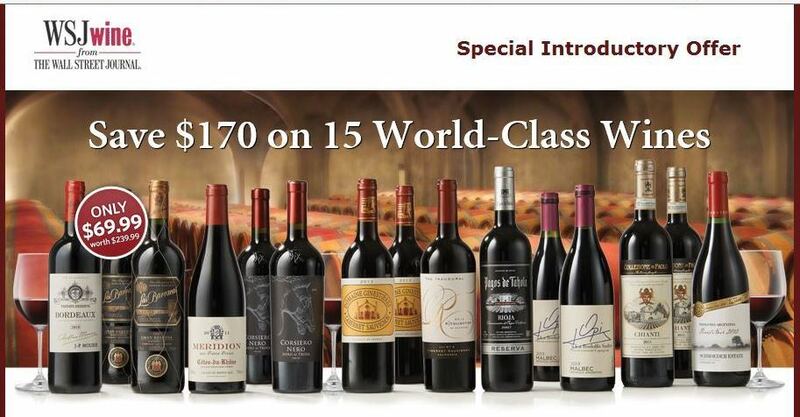 They could instead exploit the prestige of their estate’s reputation by making them into another wine – not the same quality as the flagship wine, to be sure, but similar to it, and offering some of the pleasures of their great wine at a lower price. as a crass piece of commercialism that generates a lot more income from something of otherwise little value. I suspect the motivation is in almost every case mixed, though I doubt altruism was ever the dominant engine. Forgive my cynicism, please. 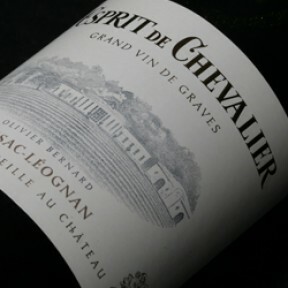 At any rate, as long as all the grapes in the lesser wine originate on the property, a second-label wine is entitled to the same appellation as the château wine. Only when those grapes are mixed with others from other properties does a wine get demoted to village, Médoc, or Bordeaux status. That declension is what happened, for instance, to Mouton Cadet. 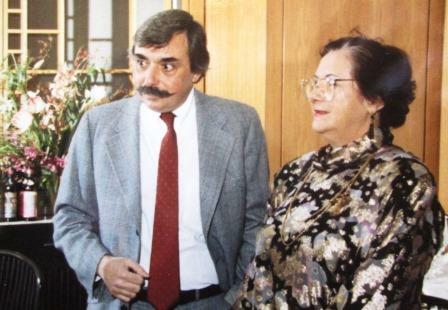 That wine began its life as a second label of the famous Château Mouton Rothschild (more than 82 hectares of vines, for the record), and has since become a separate enterprise with only a nominal connection to the great estate, whose second label is now Le Petit Mouton. So what then does all this imply about second labels, for the canny wine lover? As prices of the Bordeaux great growths have soared into the stratosphere, some second labels can be relative bargains, a chance to taste decent Bordeaux at fairly reasonable prices. But they can all too often fall to mediocrity. Usually they are vinified from an estate’s youngest vines or poorest-performing parcels, so their potential is limited from the start. All they’ve got going for them is the location of those vines and parcels – the whole Médoc, after all, is essentially a single terroir – and the fact (or the hope) that they received the same attention as the rest of the estate’s wines. Only by accident, and in a truly exceptional vintage (of which there are fewer than the Bordeaux hype machine would have you believe), will these wines ever approach greatness. Still, in a good year, you should be able to find a number of winners in their ranks. If you love Bordeaux, it’s certainly worth the hunt. Château Gloria and I go back a long way together. It was one of the first serious Bordeaux I tasted when I was just learning wine, somewhere back in the early Cretaceous, and it is still a favorite of mine and Diane’s. The way I went about learning wine was by going to a knowledgeable, friendly wine shop and asking the owner to put together a case of wines that would show me the kinds of wines that were available. The Cretaceous-era giveaway is that when he asked how much I wanted to pay, he didn’t bat an eye when I said my ceiling was a hundred dollars for the whole case. No problem: He just selected a dozen wines– almost all French, because that’s what wine was back then – that included, from Burgundy, a Corton Charlemagne and a Nuits St. Georges (Les Boudots, from Henri Gouges: I can still taste that amazing elixir), and from Bordeaux a Château Brane Cantenac and a Château Gloria. Once hooked on Gloria (which was from the first sip), we drank a lot of it – most of it too young, but I was still learning. In those days, the great 1966 vintage of Gloria was available for $3 a bottle in Macy’s excellent wine shop (yes, Macy’s had a wine shop back then, and a butcher shop too, and both were fine) with a 10% case discount, which made it affordable even on a meager academic salary. How I wish now I still had some of those ‘66s, or could get a young Gloria at those prices! Où sont les neiges d’antan, eh? A few nights ago, to match some succulent braised short ribs that Diane had made, I pulled our last bottle of Château Gloria out of my wine closet – which is what started this nostalgic riff. It was the last bottle not because we’ve lost our taste for it – far from it – but because it no longer costs $3 a bottle, or even 10 times that amount. More like 20 times, and Gloria has never been a price leader in Bordeaux. Our incomes, like most people’s, have not increased anything near 20 times since our youth, so Château Gloria along with the rest of Bordeaux has just sailed out of sight for us. Which is sad, since there are still some lovely wines there, even though I don’t like a lot of the changes that have taken place in Bordeaux over the years. But that’s a subject for another post, another time. What I want to do here is not lament but celebrate, and particularly I want to celebrate the persistence and consistency of Gloria’s identity and character. When we first made its acquaintance, Château Gloria was a new kid on the block in Bordeaux, an estate only a little more than 20 years old, an unclassified growth of St. Julien that had been cobbled together out of bits and pieces of other estates (including some illustrious ones – Gruaud Larose, the Leovilles, Ducru-Beaucaillou). All those were classified growths, but that didn’t help Gloria’s status, and without the luster of history or high ranking, all it could rely on was its quality. Fortunately it had that in abundance. 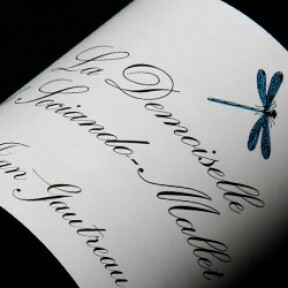 Its creator, Henri Martin, the long-time mayor of St. Julien, wanted to make a wine that could stand with the Médoc’s greatest. He fought all his life to have the 1855 classification redone, and everyone in the wine world agreed that if it were redone his Gloria would be at very least a Fourth Growth, if not a Third – but of course that never happened, and Gloria continued to bump along, much beloved by many, but selling always at prices, compared to other Médoc wines, well below its standing. Which, of course, was fine for impecunious me, if not for M. Martin. Which brings me to that final bottle, a 1990. Gloria has always been for me a classic St. Julien, elegant rather than big, suave and persistent rather than powerful. When I pulled the cork – carefully, because at 24 years old it was a little fragile – and poured our first glasses, many years (a few decades, to be honest) just evaporated. The aroma was exactly the same as those long-gone but fondly remembered ‘66s, and so was the taste and the mouth feel, the latter satiny and the former a rush of cedar and cassis edged with tobacco. It stayed that way through the whole meal, from a starter of cream of celery soup, through the unctuous braised short ribs, to the end of three very different cheeses (a nutty Brebis, a fine Wisconsin blue, and an assertive Grayson). Finished alone, even the last of the wine remained true to itself – poised, vital, elegant. A lot of British wine wankers, including several who should know better, claim that Gloria isn’t the wine it used to be; that the house style changed in the 70s to a lighter, sweeter wine that wouldn’t age as well as the wines of the 50s and 60s. Somewhere between 10 and 15 years is often given as its life span. Well, my lovely final bottle, kept for years in my less-than-optimum storage conditions, just flat out gave the lie to that. Gloria remains what it always was – glorious.